Not a chicken or Easter rabbit in sight, but these eggs are real eye catchers. 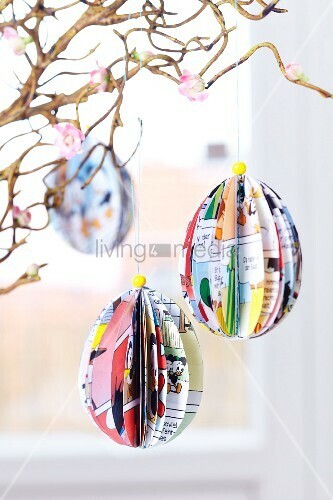 It is a great way to decorate your egg tree, without wasting eggs. Besides, it makes a great family project and you’ll have a lot of fun in the process.